How do you measure people’s practical skills, for example their ability to conduct electrical or electronic work? Is it possible to have someone use test equipment such as a hardware device or simulator and have this controlled by Questionmark technology? The answer to this question is “yes”. I’d like to share an interesting story by Questionmark customer SpaceTEC, whose very inventive approach is making this happen. SpaceTEC is the National Science Foundation, National Resource Center for Aerospace Technical Education. 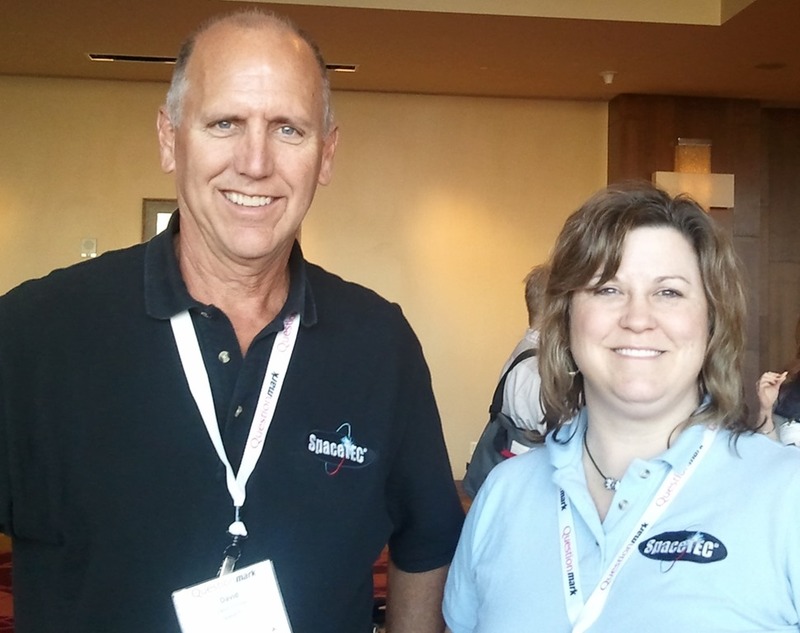 I’m grateful to D ave Fricton and Carolyn Parise of SpaceTEC (pictured right) for presenting about this at the Questionmark Users Conference in San Antonio, Texas and for helping me write this blog article. SpaceTEC, under its sister organization CertTEC, created an electronics certification that is offered to the electrical/electronics industry. Staff members there deliver knowledge based assessments with Questionmark and also deliver a practical exam where someone has to actually perform some electrical work, for instance finding a fault or make measurements. 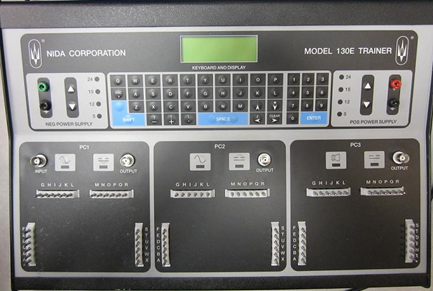 To do this, they use electrical test consoles and proprietary card sets like those shown below. Traditionally the practical exam has been delivered manually by an examiner working with the candidate on the test equipment. But this is costly and difficult to organize nationwide as exams take 3 to 4 hours each and examiners need specialized training. 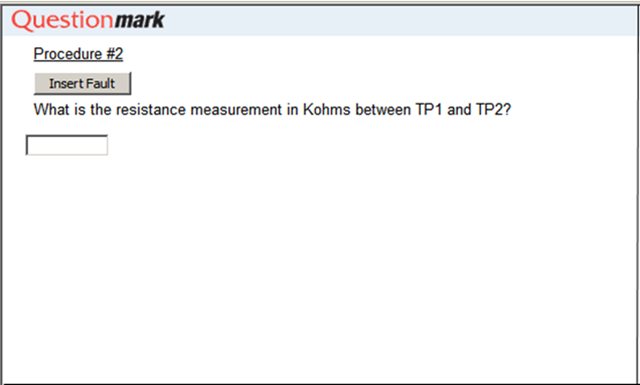 The innovation by SpaceTEC is that they have inserted HTML code inside Questionmark questions to control the test equipment. They drive the test equipment from within Questionmark software, making it no longer necessary for a trained examiner to run the practical test. They still have a proctor in the room to check the integrity of the process, but this is much easier to organize. Here is a simple example of the kind of question they deliver. 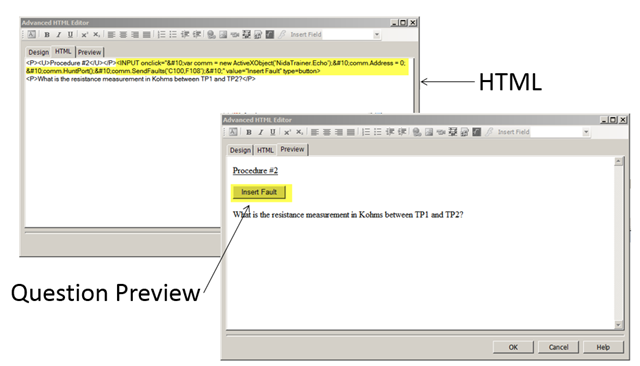 The candidate clicks on the Insert Fault button and this sets up the console with the appropriate configuration. Then the candidate measures the resistance on the console and types in their answer to Questionmark, which records and scores the question. If you want to know what happens behind the scenes, it’s very simple. 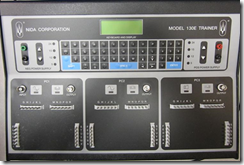 The console (from NIDA Corporation) has an ActiveX driver which can be called by HTML code. It is necessary to install the driver on the candidate PC and then plug the console into the PC, but these are simple tasks. The call to the ActiveX driver is then encapsulated inside the Questionmark question wording. 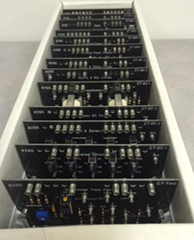 Do you deliver any practical or performance exams using test equipment? If so, you might be able to follow the same route that SpaceTEC have gone, and link these up to Questionmark for easier administration. SpaceTEC are showing how performance and practical tests can be run in Questionmark, as well as knowledge assessments.